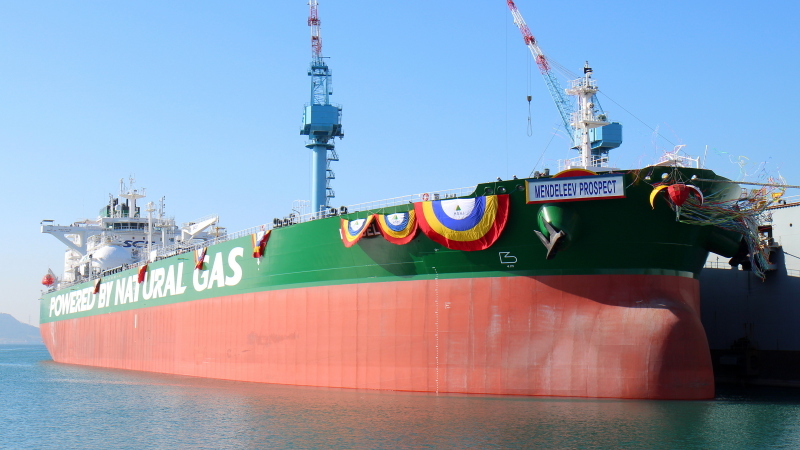 Photo taken during the naming ceremony of the 3rd vessel in the series of 6 crude oil tankers of 114.000 tdw for Sovcomflot. Vlad, ships that can carry clean products come under the "product/chemical tanker" on this site. If the coating of these new Russian ships will not allow them to carry clean products, but "black" products like diesel and gas-oil, they are listed under crude oil tankers. Admittedly it is can of worms and a little nightmare for the correctors too. They are indeed coated, but their own coating system is certified "for crude oil tankers". This site's category system, if followed to the letter, would put only VLCCs in the "COT" category, if we considered only new vessels. Anyway, I'd follow her designation in this case, as a "crude oil tanker" - even if she is able to also carry some products. 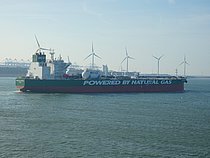 The interesting aspect of these tankers is that they bunker LNG. 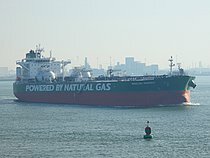 Her two sisters have already visited the Europoort and the Shell tanker Cardissa (6500 cubm) is used for bunkering. As far as I could see from their discharge pattern, they are actually LR2 ships, coated to be able to carry products also. Hello Vlad.Nice shot of this celebration.Well done my friend.Best wishes to Korea. Volker. This photo has been shown 1,159 times since it was added to the site.